Card Text Reap: Archive a card. 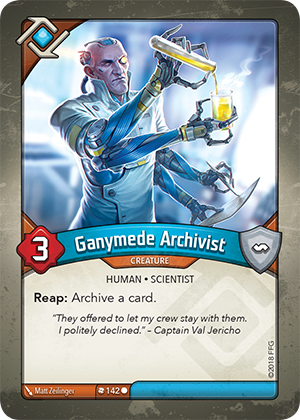 If I reap with Ganymede Archivist, can I archive a card from play? No. If the ability instructing a player to archive a card does not specify where the card is archived from, the archived card comes from that player’s hand.